The 30th parallel north is a circle of latitude that is 30 degrees north of the Earth's equatorial plane. It stands one-third of the way between the equator and the North Pole and crosses Africa, Asia, the Pacific Ocean, North America and the Atlantic Ocean. 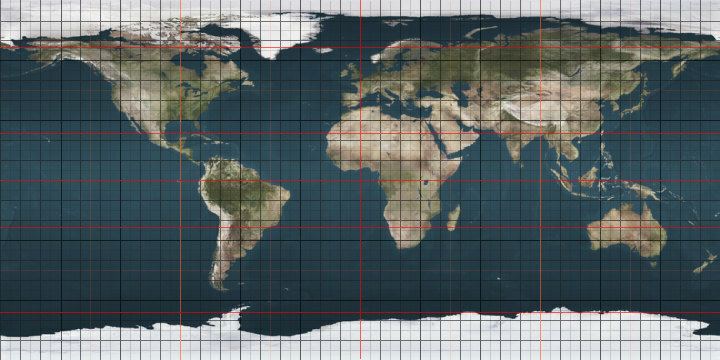 It is the approximate southern border of the horse latitudes in the Northern Hemisphere, meaning that much of the land area touching the 30th parallel is arid or semi-arid. If there is a source of wind from a body of water the area would more likely be subtropical. At this latitude the sun is visible for 14 hours, 5 minutes during the summer solstice and 10 hours, 13 minutes during the winter solstice. On 21 June, the maximum altitude of the sun is 83.83 degrees and 36.17 degrees on 21 December. ^ "Duration of Daylight/Darkness Table for One Year". aa.usno.navy.mil. Retrieved 21 March 2018.